2. I enjoy lectures, seminars and speaking engagements and do them free of charge for all educational institutions. I have been a guest lecturer at Culinary Schools, University Business Schools, Hospitality Schools and Colleges. Please contact me for any academic engagements. Very proud of our first donation to Share Our Strength last night at our NRA party. Jim Vinz, thank you for for accepting our donation on behalf of SOS. Hi Courtey. Thank you for visiting my site. 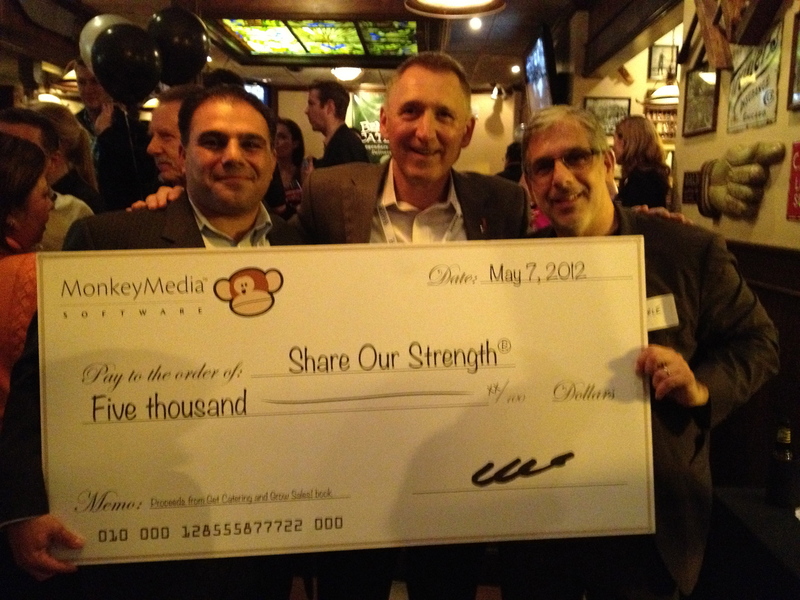 All the proceeds from my book, Get Catering and Grow Sales (http://www.monkeymediasoftware.com) are being donated to SOS. My goal is to raise $100,000 for their cause. I appreciate your kind thoughts.